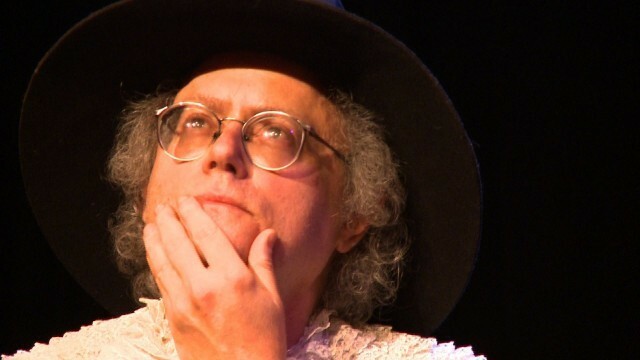 For the past two years, Mikhail Horowitz of Actors and Writers wrote Spoon River Apology, a parody of Edgar Lee Masters’ classic Spoon River Anthology. Masters’ book length poem was composed of short postmortem monologues that portray the fictional midwestern town of Spoon River. So Horowitz created the fictitious town of Woodspoon, New York where the deceased denizens of the now vanished town address the living (audience) through digital epitaphs. Woodspoon, inspired by Woodstock, was made in counterpoint to Master’s community: If Spoon River had a blacksmith—Woodspoon has an aromatherapist and a chiropractor. The third locally staged group reading of Spoon River Apology will take place at Maverick Concert Hall in Woodstock on Friday, July 29 after a showing of What You’ve Brought: Four Short Takes on the Theme of Antiques Roadshow by David Smilow. Admission is $10 suggested donation. Doors open at 7:30PM. The show starts at 8PM.